My big adventure this last week was Easter. 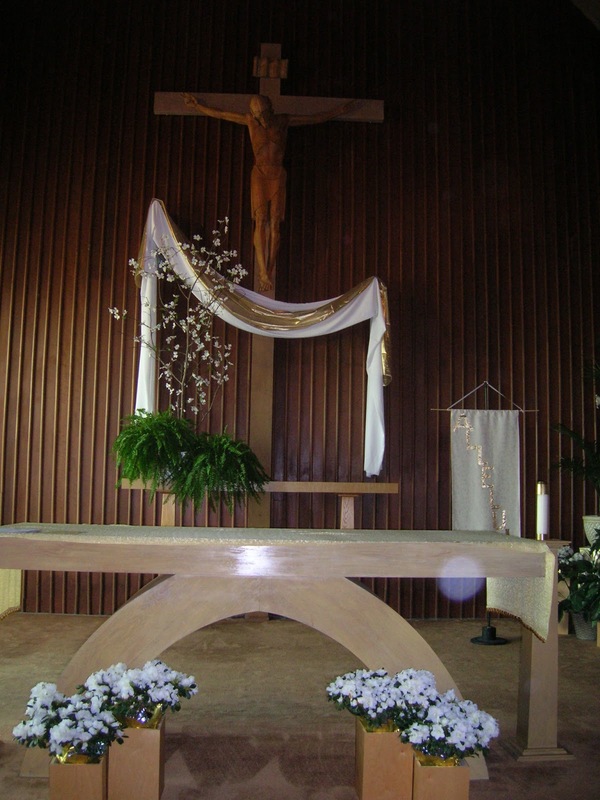 I spent a lot of time looking at the altar and cross in this picture. Choir practice till 10:15 on Wednesday. Mass on Holy Thursday. Another Mass on Friday. And the lollapalooza of the Easter Vigil on Saturday from 7:30 until 11 p.m. At the Saturday Mass, we started outside with the lighting of the fire, then carried candles into the darkened church. We read and sang the whole story of our faith, welcomed new members into the church with baptism, and finally celebrated that Jesus has risen from the dead. We had more Masses on Sunday morning. So that’s what I have been doing. I’m a little disoriented not having another Mass to sing and play at today. After church on Sunday, I joined friends for brunch at the Adobe in Yachats. Picture an ocean view, mimosas,I salmon and crab quiche, and a loaded buffet. Nobody could eat it all, but we tried. It was a good Easter with marvelous weather here on the coast. My biological family is back in California, but I was surrounded by loving friends and didn’t feel lonely for a minute, even though the Easter holiday is fraught with difficult memories. It was on a Holy Thursday that I found out my mom had cancer. She passed away three months later. I was at a Good Friday Mass two years ago when I got the call that it looked like my husband might be dying. 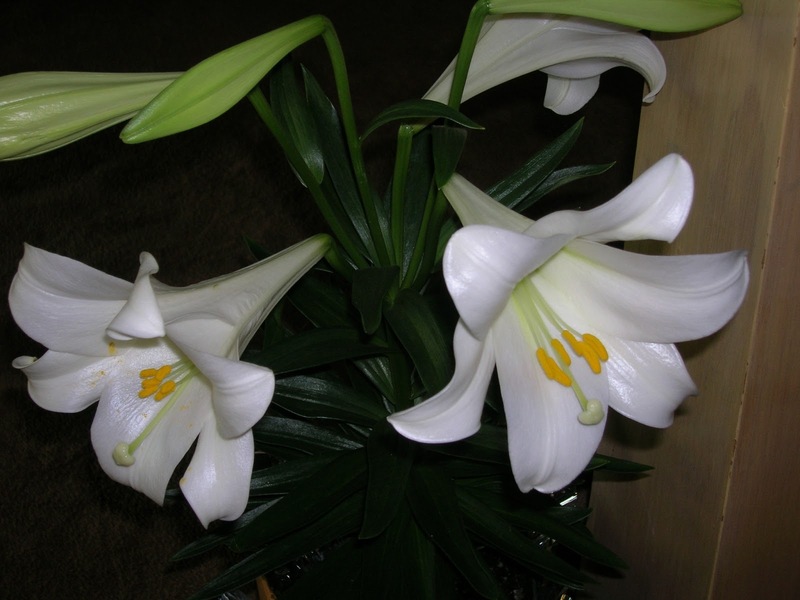 He passed away early the next morning, and I missed the remaining Easter services that year. So to have everyone alive and well this year, with the sun shining, the plants and trees all beginning to bloom, and the joy of the Easter story successfully told again, I have many blessings to count. P.S. A young friend who plays with guitar on us decided the Holy Spirit’s name is “Bob.” I like it. How about you?